Why Imaging centers pick Prodigy IT. Our expertise with Meaningful Use II, HIPAA , Imaging Informatics, PACS and DICOM systems set us apart from the crowd. Prodigy is focused on the design, integration and implementation of state of the art PACS and Imaging Information Systems. For over a decade, Prodigy has been implementing imaging solutions throughout the Southeastern US. Our PACS systems have a well designed and engineered combination of hardware and software that makes Image and Study management easy and efficient whether your reading from your office office or halfway around the world. Join the elite group of clients that have benefited from Prodigy’s expertise. Our clientele includes small Doctor and Chriropractic centers with a single modality to large multi-state healthcare organizations processing hundreds of studies daily. 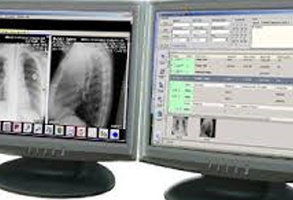 Prodigy can provide cost savings and increase efficiency for all Radiological Imaging environments. A standard web browser is all that’s needed to access your images and reports securely from anywhere. The ProPACS system is a complete cloud based image storage, transfer and viewing platform. Unlike legacy PACS systems, ProPACS allows access to studies, reports and images to any computer with Internet access. No special software installation is needed, increasing efficiency and convenience, while reducing complexity and costs. Our cloud servers have a more than 99.99% up-time insuring your ability to access your data whenever and wherever you need. Our flexible ProPACS product line allows you to choose the system components that fit your specific requirements and budget right now, and still be adaptable and extensible to grow with you as your business expands in the future. ProPACS has short and long term storage solutions available with all of our products. All of this combines to make ProPACS the perfect custom fit for your business today and over the long term. 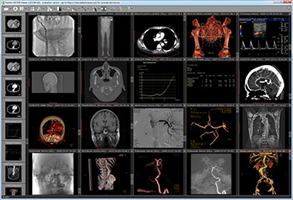 If you already have an Imaging Information solution, RIS or PACS , then ProPACS can extend your existing system by integrating with it via DICOM or HL7 interfaces. ProPACS enables you to establish a web presence overnight, giving your physicians simple point and click access to images and reports. 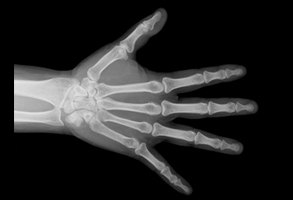 This not only assists in providing better more accurate patient care, in addition you will also have a valuable productivity and marketing tool to help extend and expand your Imaging business. The Prodigy way is to provide the best support and service to our clients regardless of practice size or product used. With our knowledgeable and well trained support staff, we will provide you with the highest level of customer service and support. Our expertise in all aspects of DICOM image transfer, storage and retrieval, as well as modality configuration and troubleshooting means you can rest easy knowing that Prodigy’s professional and courteous personnel are available to assist you when you need it. ProPACS streamlines your work-flow and gives you instant access to images and reports. ProPACS requires no on-site hardware. Most configuration and support can be done remotely. Want to have peace of mind and save money?